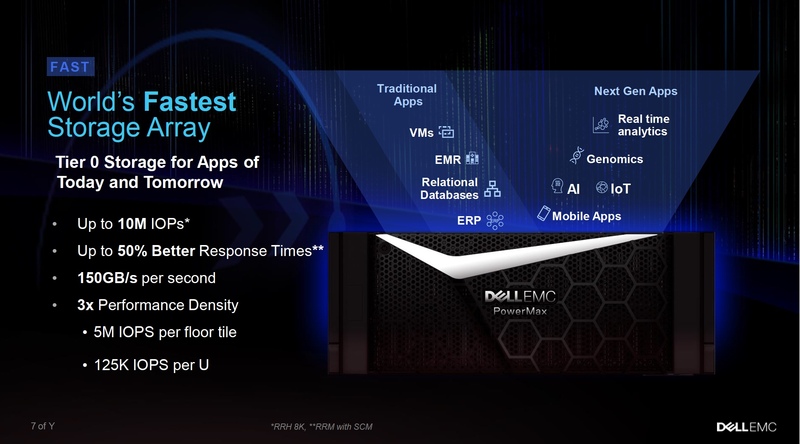 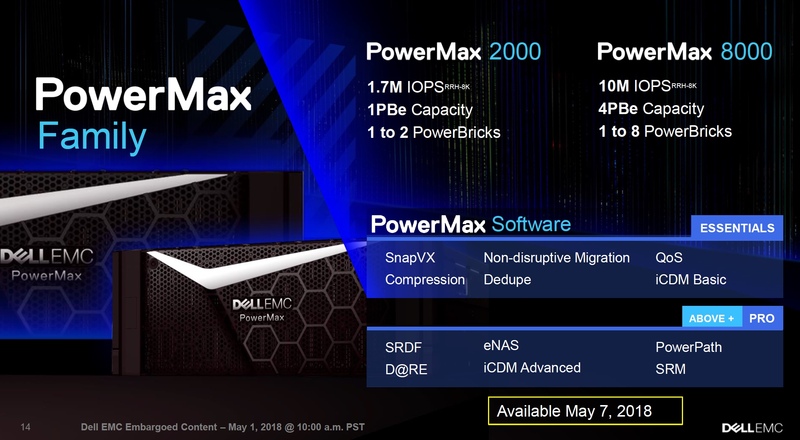 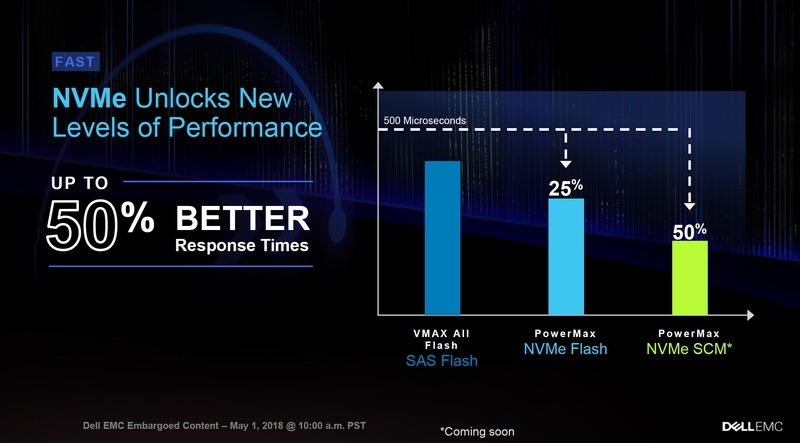 Dell EMC has announced the next generation of the VMAX series: the PowerMax family. 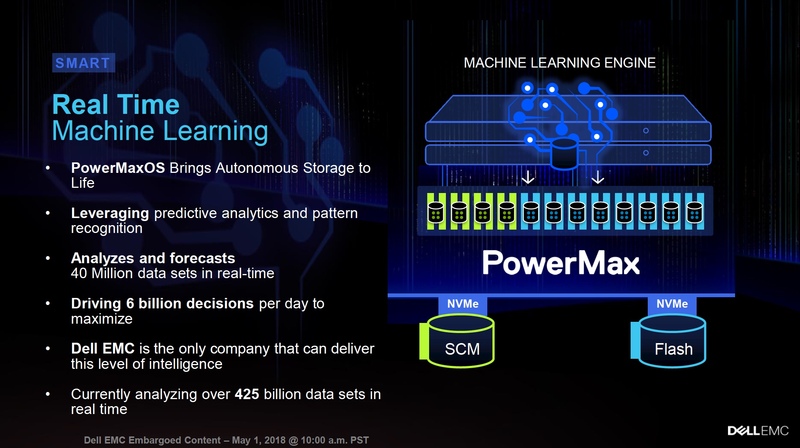 Real-time Machine Learning and automated decision making integrated into PowerMaxOS for improved manageability and reduced operational overhead. 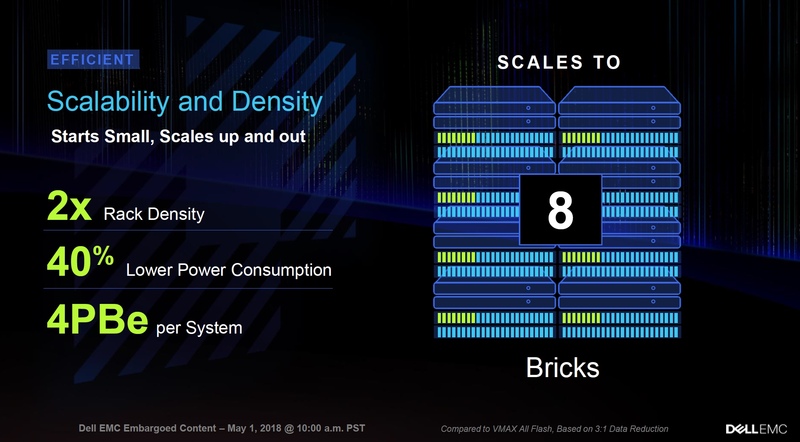 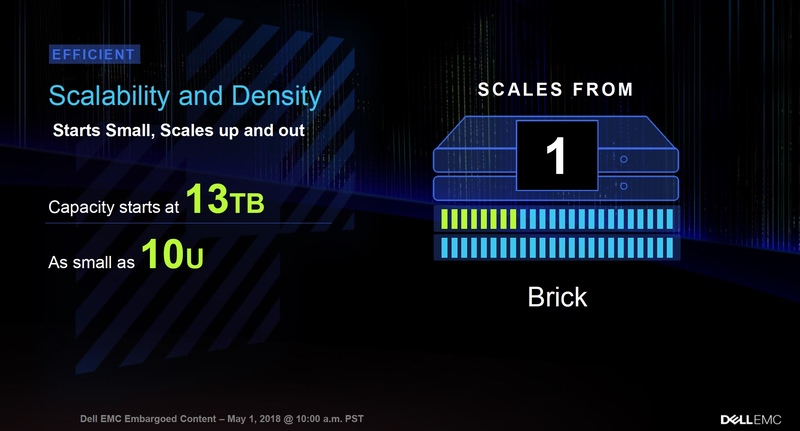 Scale out architecture, start with a 10RU 13TB brick and grow to an 8 brick 4PB solution. 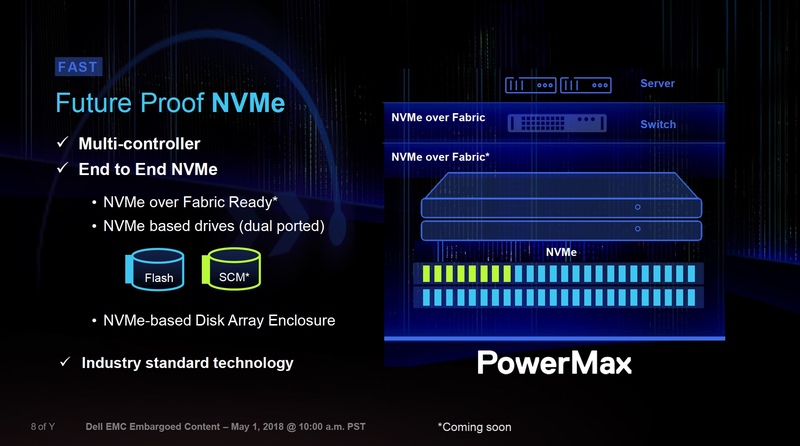 Two models: PowerMax 2000 and PowerMax 8000. 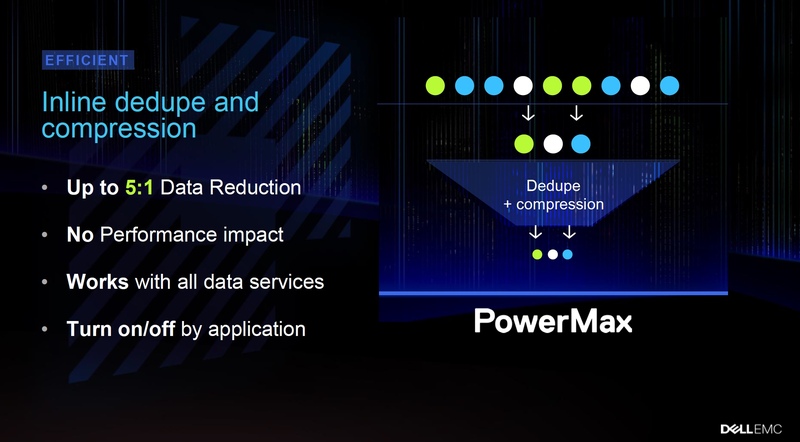 PowerMaxOS software: Essentials and Pro editions.